Similar expressions are on the front page of the Birmingham News this Sunday morning. But is this just the response on tv? And are the doubts really so pervasive? Perhaps in the ivory tower of those with survivor's guilt in Birmingham and its suburbs, but I never once spoke to a person deeply impacted by the tragedy that expressed doubt--rather a clear confidence in the goodness of God, His power, and a realization that this world and its possessions are fleeting. Let me walk through my experience through the past few days. The weathermen had been predicting this storm to be big, long before it came through. But I think what surprised me, and the rest of the suburbs south of Birmingham, was the early morning storm that came through on Wednesday at 5:30. We woke up to a swift onslaught of rain and powerful winds. It wasn't too bad where we were, but the power went out. Next thing I knew, I was getting texts from my friend/boss asking if we were all ok. We were unscathed, but he told me his father-in-law's house had been hit by a giant tree. Little did I know the damage that was done in that early morning storm that was later rated an EF-2 tornado. 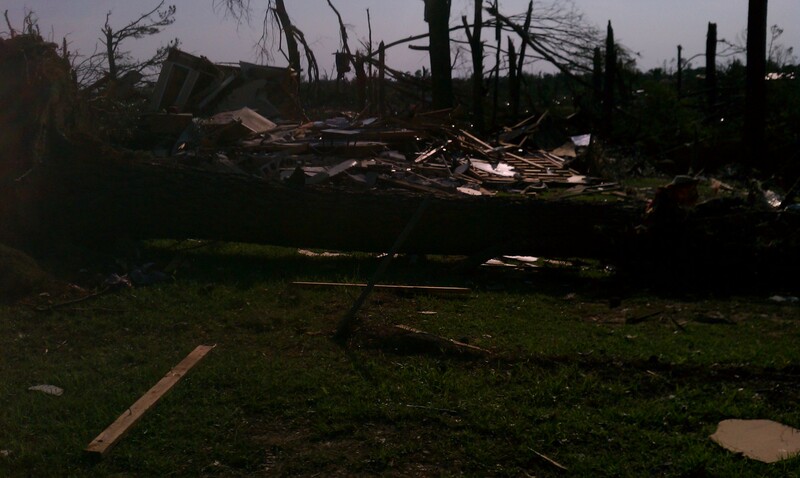 The damage is quite impressive and life-changing for many people in that area. 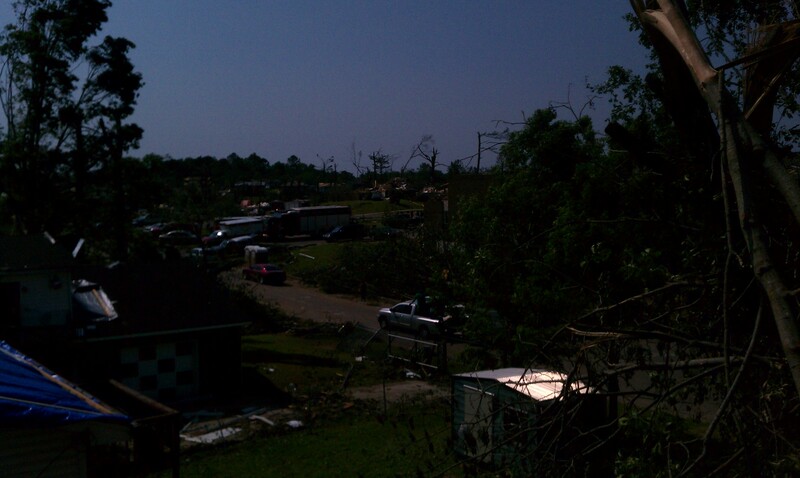 Cars crushed, houses destroyed and thousands of huge trees uprooted, chopped in half or mangled. I left in the morning to go to try and work, not knowing the extent of the damage. Traffic did not allow me to get to my boss' house to get the equipment. The day proved to be a beautifully sunny day which meteorologists said was making the possibility of a greater storm. It gave lot of people a false sense of comfort. Our power remained out the entire day so we were not able to watch tornadoes come through Tuscaloosa or Birmingham on live tv like so many did. We could only listen on the radio to the tv weathermen. I, of course, was looking for the tornado—my wife was yelling at me saying, “You are being an idiot! Get inside now!” I eventually got inside, and the tornado was safely north of us, tearing apart towns and communities to the North of Alabama. Power outages kept us in the metaphorical dark for the rest of the night. Morning would tell the extent of the damage. On Friday night, I was told of an opportunity to help with those most impacted by the storm, going through Samaritan’s Purse, and evangelical, evangelistic organization headed by Billy Graham’s son Franklin. So I woke early in the morning and was in the first team sent out by the organization. My connection to the Samaritan Purse relief effort was a Boy Scout troop leader (the one who had his house crushed by a fallen tree by the early morning tornado). So I was with Boy Scout leaders. Now, there are a few things Boy Scouts are supposed to know, but I keep finding that they are just things they really wish they knew how to do, but never really “got.” One of those things is tying knots, and strapping things down. 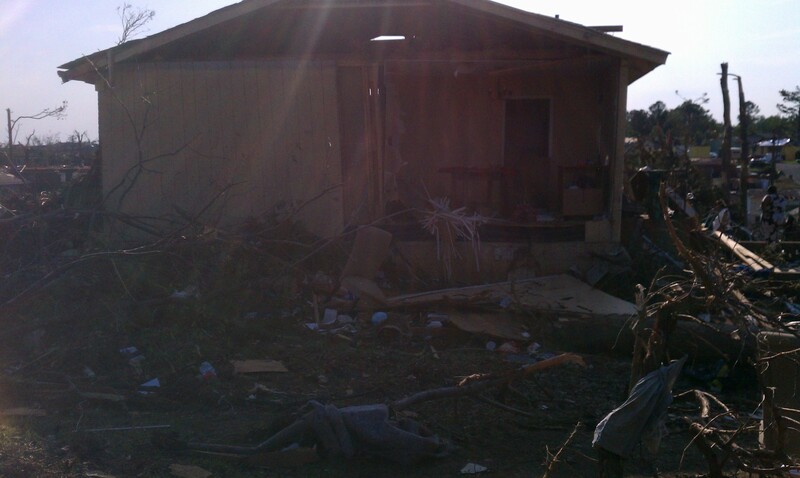 The Samaritan’s Purse sent us out to Pratt City where houses were demolished by the EF-4(+?) tornado. I think that their vision is, not so much to deal with the houses that are rubble, but the houses that are livable with some work. The houses that are rubble will be sorted through for valuables and probably bull-dozed into a giant pile of trash as time goes on. Driving down the highway in a caravan, my car got a call from one of the other drivers saying that he needed to stop because the equipment he had on his truck may be falling off. A ladder and a pole-saw were precariously hanging out of his truck. Since I strap things down every day for work, I jumped out to help him out. He had some ratchet straps, but felt they were too long, so he began tying the ladder down in knots (not really Boy Scout approved knots, I might add). I had to take some charge of the coming catastrophe, so I took the straps, weaved them through the ladder and pole-saw and strapped them in properly. Safe to get to the location. We were assigned two houses to work on. 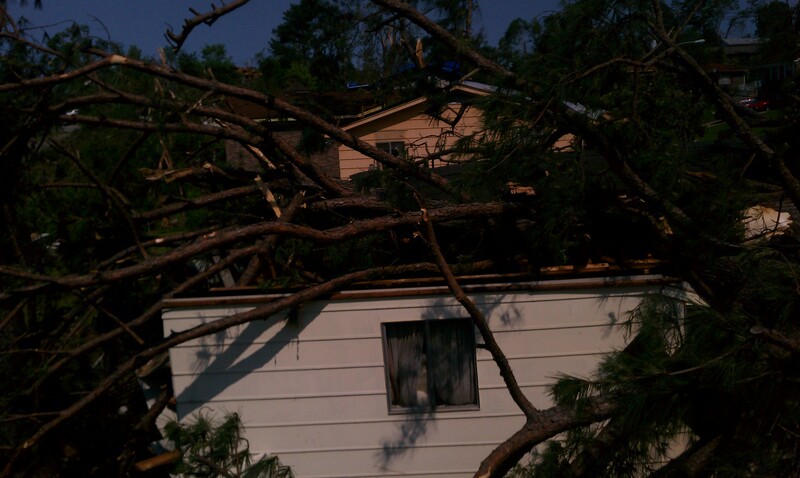 Both houses had damaged roofs, and a giant tree which had toppled in their back yards. Our task was to help chop the tree up, and then tarp the roof (one of the houses had already been tarped). 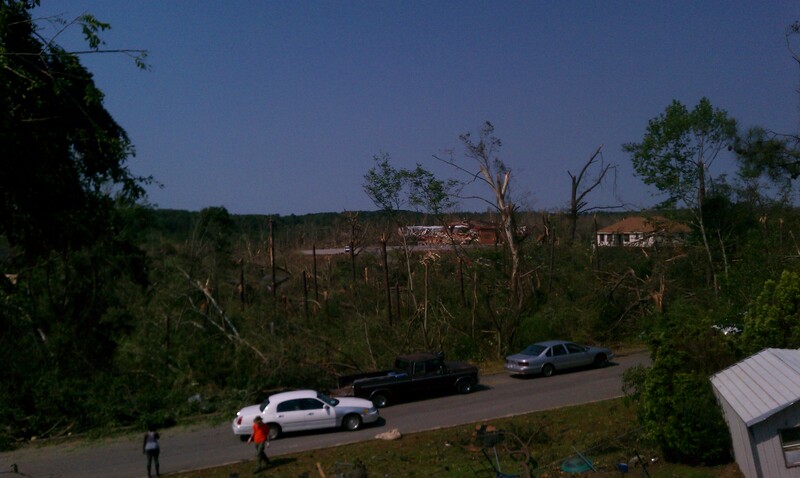 One of the neighbor’s houses had been crushed by a giant tree, and just across the street was the center of where the tornado hit. I took pictures, but the news pictures are better quality. Yes. 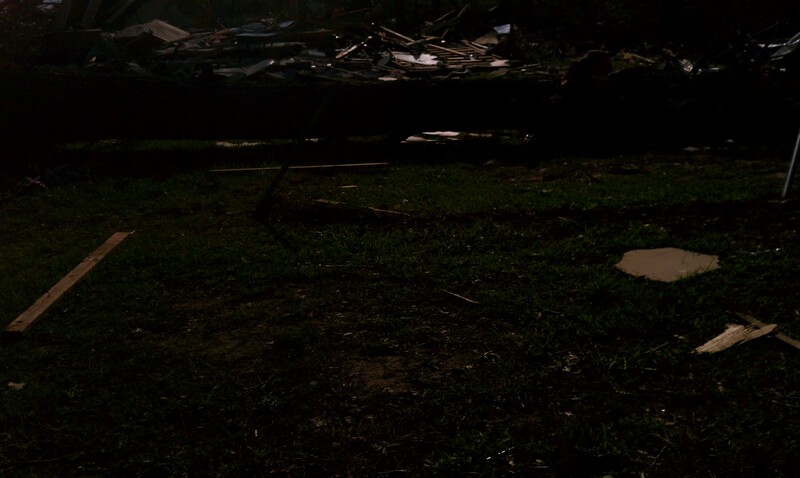 Houses completely, and utterly destroyed. 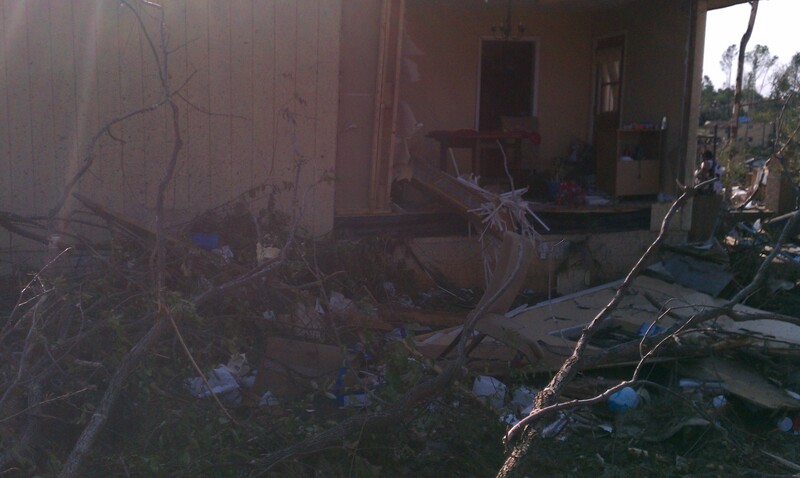 But also houses, not fifteen yards from total destruction completely unscathed. Our team leader (and Boy Scout Troop Master) asked us for specialties. I told them I could run a chain saw. So per Samaritan Purse regulation, I donned chaps to protect my legs, a helmet with face visor, and started chopping up the giant tree, which we chopped up in about three hours with two chain saws and a pole-saw. I was glad to go be a hero for someone. There were five African-American men there. One of the men was the owner, and the rest were family—cousins, nephews, sons, etc. When I came to the tree they had been working on, I almost burst out laughing. Not only was there one chain saw stuck. There were two chain saws stuck. The second was a rescue effort. I have cut up enough trees to know what was going on. The weight of the tree was bringing pressure downward and pinching the chain saws. My first thought was, “Let’s get all of us to lift the pressure of the tree, and then pull the saws out.” But then I had a better idea. When the pressure of the tree weighs down and pinches a blade, or will pinch a blade, it is always best to cut from the bottom up when possible. So I found a place higher up on the tree, cut from the bottom up, relieved the pressure, walked over to the two saws and picked them both up as the men looked on. I turned to them, and in my best Arnold Schwarzenegger voice, said, “It is because of my brute strength I could lift the chain saws out!” That brought down the house, and they were all grateful for the help. Then I brought the men together and asked if we could have a prayer together. I don’t know the words I uttered, but I prayed for the Davis family, the community and prayed that the glory and love of the Lord might be demonstrated throughout the community even in the midst of this disaster. The fact that I helped them rescue their chain saws meant a lot to them, but our time of prayer meant even more. I thought about that article in CNN about the quiet doubts, but found in them a quiet confidence in the Lord—a confidence not meant just for TV, but in the lives of those most impacted. I returned to my project of cutting up the fallen tree, and finally we finished that up. One of the houses needed a tarp put on its roof. 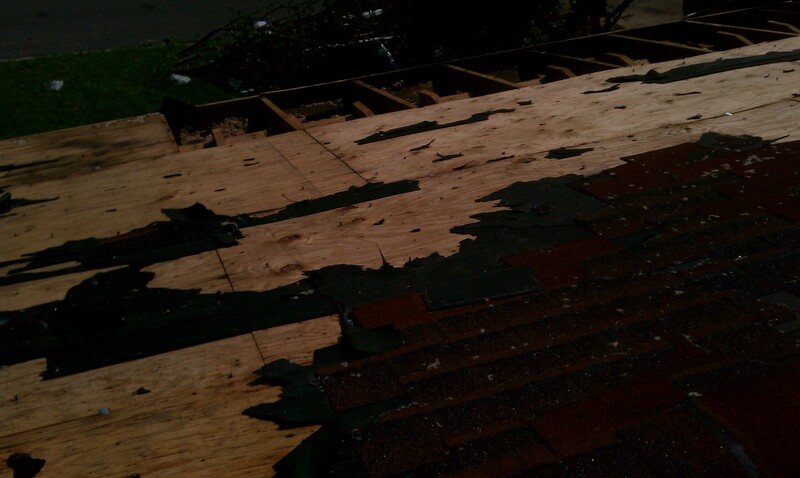 Several sheets of ply wood had been blown off the roof, so there were dangerous holes, and the roof was two stories up. Don’t tell my wife, but for work, I climb up ladders and get on roofs somewhat regularly, so was not really worried about getting up. I talked to our team leader, and he was a bit skittish about getting up there. He had an idea about tying a rope to a tarp and somehow getting it over without anyone getting on the roof. I thought the idea would not work, so I said, “Would you mind if I got up there?” He said, “If you feel comfortable, go ahead.” Everyone else was afraid (Boy Scouts? Really?). I got up on the roof, made sure it was safe, and the owner of the house joined me. One other Scout Leader got up with me and we nailed down the tarp, spray painted the danger areas on the tarp so that there would be no future accidents. Mission accomplished. Back to the Davis family. We had a lot of tarp left over, so I asked our team leader if I could bring it over to the Davis family for their roof. We didn’t have time to put it up, but I thought it would be a nice surprise for them, and protect them from the coming rains on Tuesday. They were grateful…and surprised. They may need help putting it up, so I got their contact information and passed it along to Samaritan’s Purse for another team to help out. Our job was done, so we prayed with the families we helped. 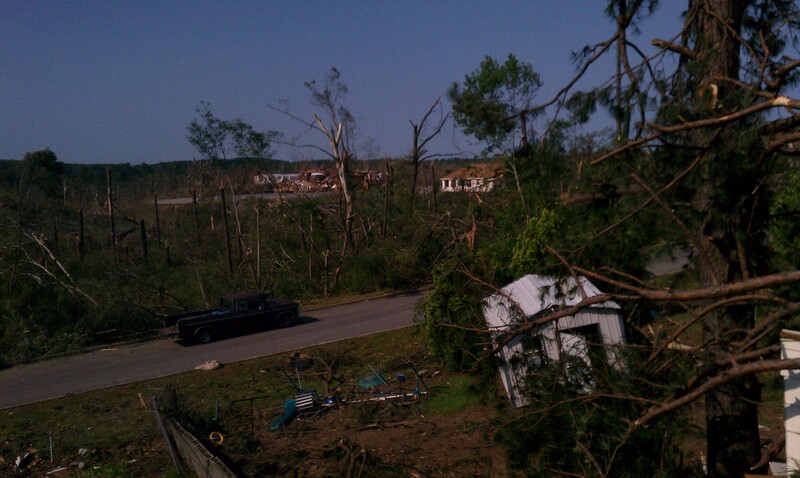 What we did seemed so insignificant compared with the damage that the tornadoes had done. 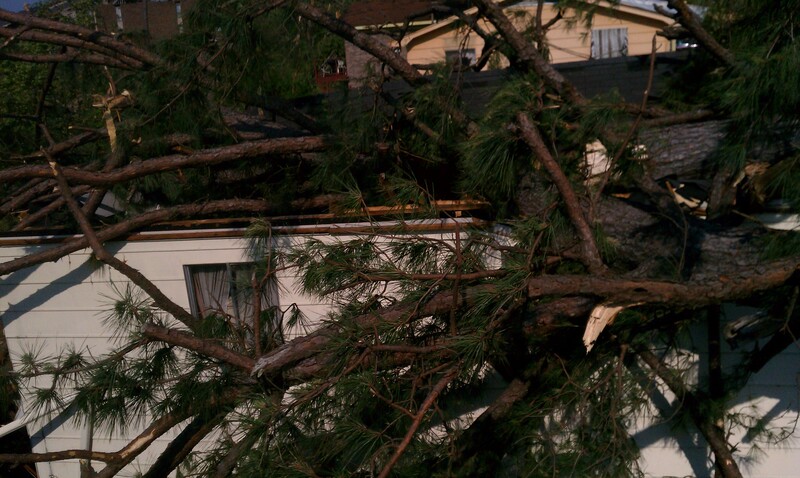 We cut up just three trees (one big, two small), and tarped one roof. 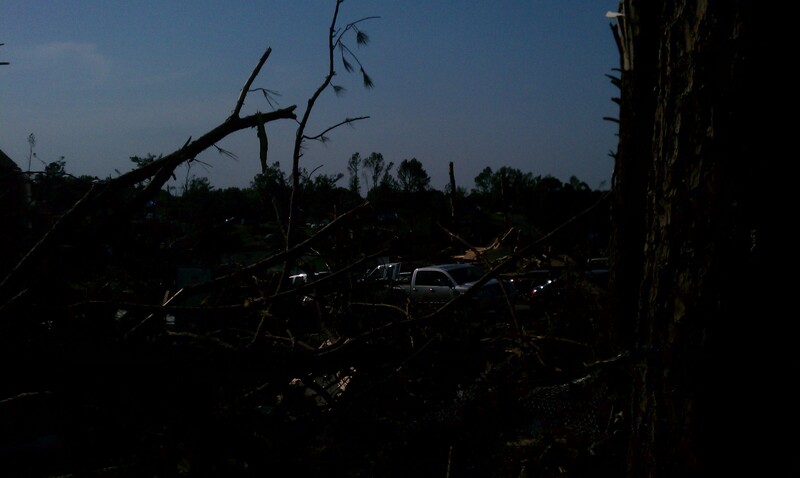 Out of the thousands, if not millions of trees down, and hundreds of thousands of roofs, our help was so insignificant. But more help will be coming. And I hope to get back next weekend. After our work, I wanted to take a few minutes to walk around and assess the damage—just to soak in the immensity of the crisis. As I walked the streets littered with clothes, mattresses plastered onto utility poles, and utterly demolished homes, a man saw my bright orange Samaritan’s Purse shirt reading “Disaster Relief,” stopped his car and said, “Excuse me. I live down there…I mean I lived down there. Can you help me?” I told him that I would take his info and pass it along but that I had no guarantees, which he understood. I knew the priority was to get those whose houses were still standing before the rubble. But I saw the opportunity once again to pray for this man. As cars lined up behind him (gawkers, residents and people handing out food and water), I held his hand and prayed with him. As I prayed, he began to weep. I closed our prayer, and told him I would pass his information along. “God is going to use this situation” I told him. As he cried, he said, “I know it!” Not the quiet doubts that the CNN article talked of, but the quiet confidence that one day at a time, he and this community were going to get through this crisis. It blesses me to hear how God has used you in the lives of these people. 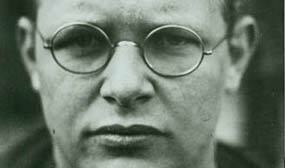 It's a good reminder to all of how our lives indeed are like grass that is today and tomorrow thrown into furnace. The things that are not seen are eternal! The need is great and the fellowship of believers are those who can and have reached the hearts of many in need. This is very true! 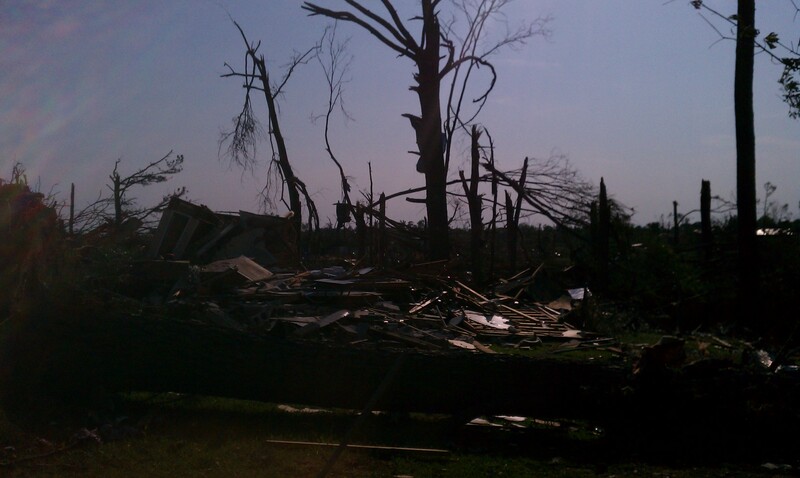 I've been so proud by the way that victims of the tornadoes have responded with faith and hope.